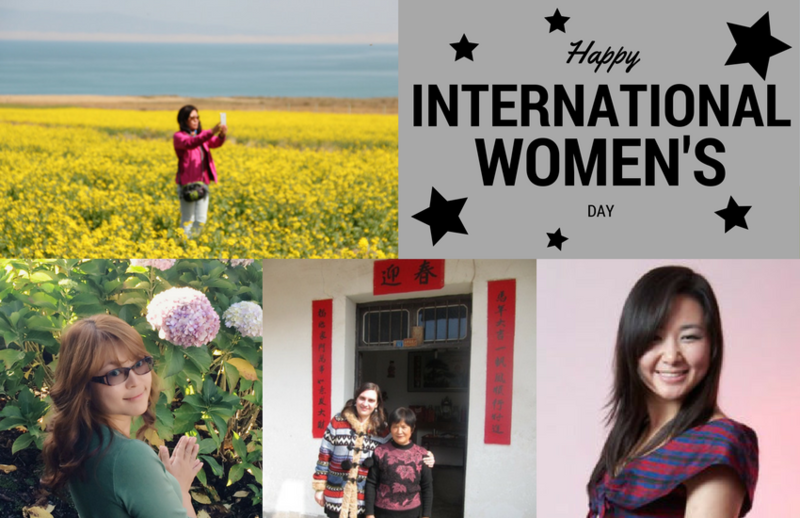 International Women's Day: Chinese Women We Admire | WWAM Bam! It’s International Women’s Day today and we decided to celebrate it by honouring some of the Chinese women who inspire us, support us or that we admire! Why Chinese women? Well, many of us here at WWAM Bam either live in China and/or married into Chinese families. Of course we’re interested to hear about the lives of WWAMs living everywhere and married into all types of Asian families, so please feel free to keep sharing your stories in our comments, or contact us to contribute your own post! Personally, I’m so thankful for the amazing support of my mother-in-law (MIL). In the past year, I got married and had a baby, and while these events can be stressful as well as exciting, my MIL supported me and helped me to enjoy these moments even more. She warmly accepted me into her family, never making me feel like an outsider, even though we are so different in so many ways. I’d heard so many tales of MILs being over-involved and opinionated, especially on child-rearing issues. But she has happily surprised me at every turn, politely checking the way I want to do things and supporting my choices. She often remarks that it’s been so long since my husband was a baby that she barely remembers what they even did back then. She’s really open-minded and interested in the different ways people do things, and it means so much to me that I never feel like she’s judging my baby care skills or overstepping my boundaries. It’s so awesome to see her interacting with her granddaughter, delighted at every little giggle or smile or thing that she does. I’m really looking forward to watching their bond grow as my daughter grows up. My Mother-in-law is a looker and no doubt about it. Even at almost 50 years old, she still turns the heads of many men, much to my husband’s dismay. Which means that, when she found herself divorced in the mid-90s in Inner Mongolia, she could have just found herself another provider and had a fairly comfortable life. But that’s not how she rolls. Instead, with money she had saved from trading wood across the Mongolian border, she purchased a property and opened a kindergarten. It still is hard work two decades later, as she is struggling to find someone to take her place. Her dedication and care meant that the kindergarten was a great success; it also means the minute she leases it out to anyone else, they can never live up to the standard she has set. Rather than depend on any man, she has worked herself to the bones and has reaped the rewards. I am glad to have a MIL whom I can look up to; my admiration for her hard work and successful business is one of the reasons I agreed in the end to marry into this family. One of the smartest women I’ve ever met pretty much never went to school, worked in a factory for years, and doesn’t shy away from even the toughest jobs around the house and the neighborhood. 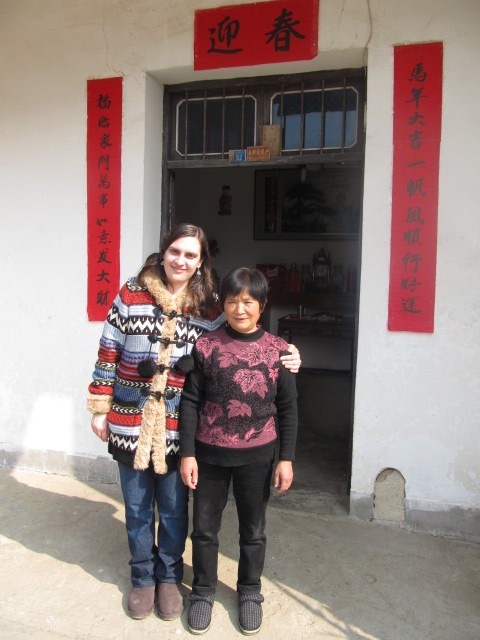 She can also carry enormous piles of sweet potatoes balanced off of a bamboo rod, knows where to forage for the tastiest wild ferns in the mountains, and cooks some of the most delicious food I’ve ever had in China. Meet my mother-in-law. I never expected to forge a close relationship with a woman like her, whose life feels as distant from my own as the thousands of miles that lay between her hometown and mine back in Cleveland, Ohio, USA. Yet we’ve bonded in so many ways, especially through our mutual love of cooking great food. I also admire her indomitable spirit. She has survived many hardships in her lifetime and yet faces life with a courageous optimism. This has inspired both me and my husband during our own trials and tribulations. Mother-in-law, thank you for being there for us! In my husband’s family, the parental role was handed down to my husband’s eldest little sister when she was only 13 years old. Any other child may have been scared if they found their mother preparing to commit suicide in the coal shed. Not Jing. She felt empowered, no longer lost. Jing assisted her mother to run away from their violent father. She dropped out of school to take care of her little sister. Once she received a letter with an address, she took her sister to reunite with their mother. Jing decided not to return to school, it was too expensive. She thought that if she could help at least one succeed, perhaps they could pull the family out of poverty. 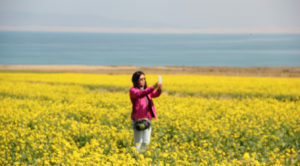 She went alone to the provincial capital of Gansu, Lanzhou, and began work as a child labourer. She slaved her fingers to the bone working full-time well into the night for a mere £0.05 per hour. This money wasn’t spent on herself, but sent to her elder brother, my husband, to pay for his education, accommodation, and living costs. When she became an official adult, she found a new job. By the age of 21, she had worked herself up to the sales manager in Lee Kum Kee, the large soya sauce brand. She was responsible for the sales management of four provinces in Western China. I admire all the girls who in the past or in the present have taken on a parental role in their family. I hope your efforts are not forgotten. 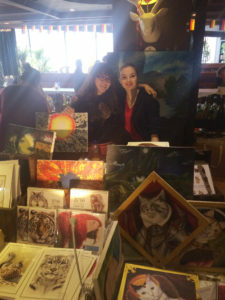 Jane Xu, in her thirties, mother and inspiration for her daughter and supportive companion to her husband, is also an extraordinary artist that has inherited the passion for watercolors from her own father and is transmitting her talent and passion to her own daughter. Jane is a dynamic, open-minded native from Beijing who has pursued many passions in her life: an expert diver, a published illustrator, a designer, a garden decorator that has earned an article dedicated to her and a watercolor painter whose works shock for their realism. Jane is many things and in her quiet and modest manner has achieved many of her dreams, fighting through difficult moments as well as knowing how to enjoy the good ones. One of her best qualities is probably her willingness to share her knowledge and support other women in their path towards self-realization. Helping others make their dreams come true is not something that everyone is keen to do, but Jane has made her selfless attitude a way of life, and whoever is lucky enough to meet her will feel the love and care she can bestow on other people. We need more people like Jane Xu in the world. Amazing women, especially Jing. She deserves all the happiness. Also, I am jealous of the supportive MILs that do not almost burn down their daughter-in-laws’ houses. Oh dear, sounds like quite an exciting story! We’re always looking for interesting posts….